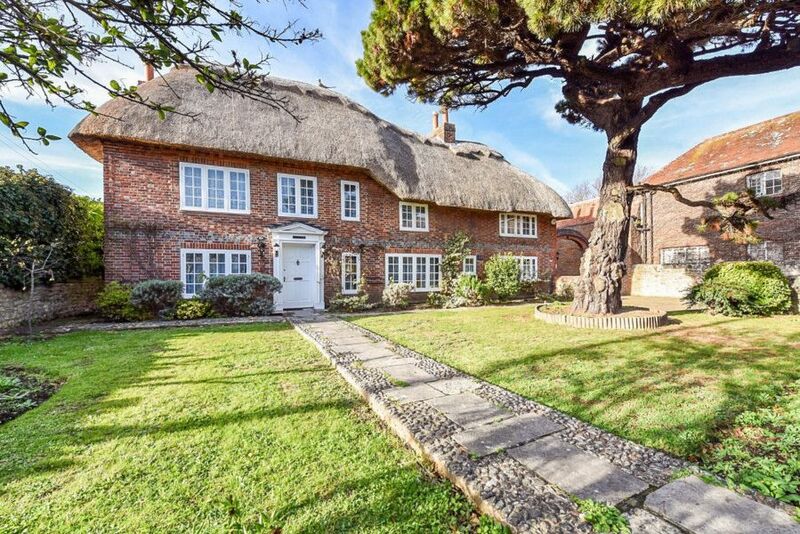 Dating back to the 1600s, The Homestead is a spacious and very pretty Grade II listed thatched home which has been refurbished by the current owners. This beautifully elegant and richly historic house is on the market with Stride & Son – click here for more information. The spacious and stylish kitchen/breakfast room. The rear garden has lawned areas with a fish pond and additional seating area. The dining room with a brick inglenook fireplace and beamed ceiling. The Homestead is set in lovely well-tended gardens of about 0.36 of an acre.